Embassy Gas Services supplies LPG Autogas for all vehicles that run on this incredibly economical and environmentally fuel. We are a well established firm having celebrated our 45th year of supplying LPG in 2009. As an independent company, we are able to supply Autogas and bottled gas at highly competitive prices. 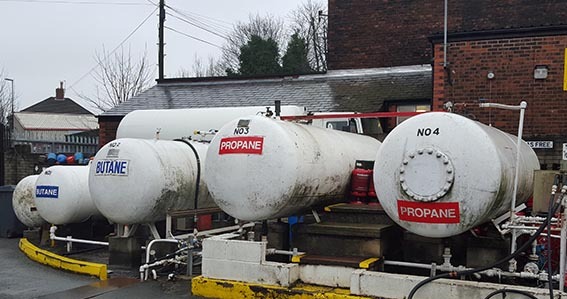 Situated just over half a mile (one kilometre) south of Junction 22 (Hollinwood) of the M60 Manchester Ring Road and half way between Manchester and Oldham on the A62, we are ideally located as an Autogas refuelling station. If you want to convert your vehicle to LPG autogas, then choose a UK LPG Approved autogas installer safe in the knowledge that their work has been independently inspected and standards monitored, choosing an LPG system from a UK LPG accredited distributor will ensure effective after sales support throughout the UK. Call us today at Embassy Gas for our recommended list of approved installers. 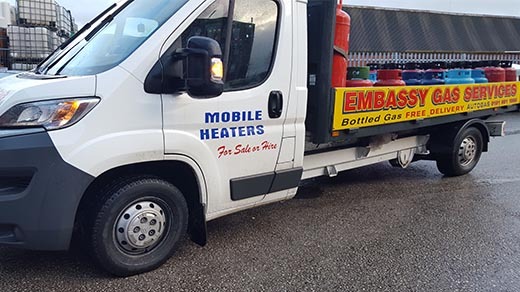 If you are travelling and looking for you nearest location for Liquefied Petroleum Gas, you should consider Embassy Gas in Manchester. Located on the main road from Manchester to Oldham we are the preferred choice for motorists arriving in Manchester. Our prices in our LPG station are very competitive. Call us today. It will save you pounds. We accept cash, cheques and all major debit and credit cards. 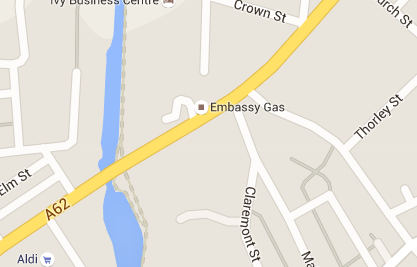 If you are looking to purchase Butane , Propane or LPG autogas, you should give us a call at Embassy Gas. Free delivery to Manchester, 6 days a week.